Wayne County 4-H | News and Notes! We have had some clubs wanting to donate supplies to the farms effected out west by the terrible weather! 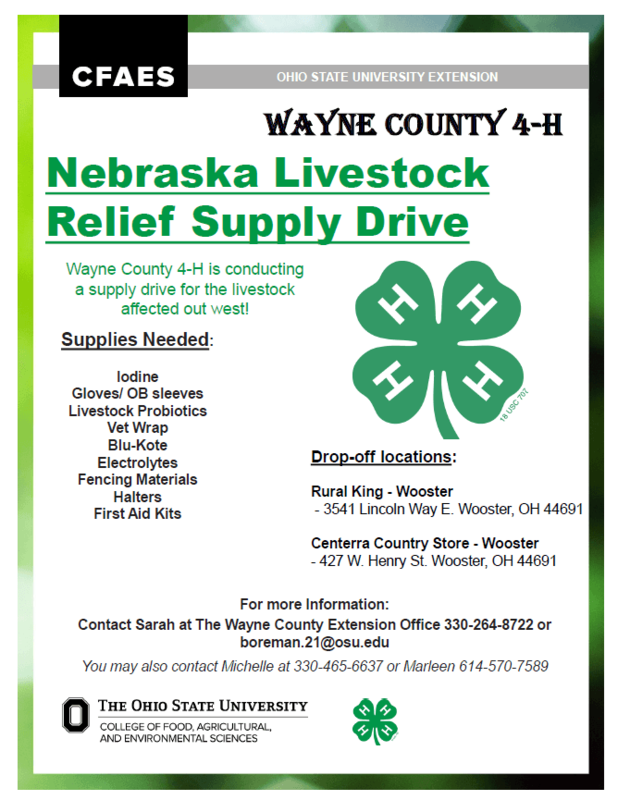 And in the true 4-H way the community is coming together to help out their fellow farmers! We would love for your club to get involved with this project! Here are the details! The Donations are due by the 27th of March! If you have any questions please let me know, you may also contact Michelle Hiner at 330-465-6637 or Marleen Eick at 614-570-7589 !!! Thank you for everything you do!!!! !